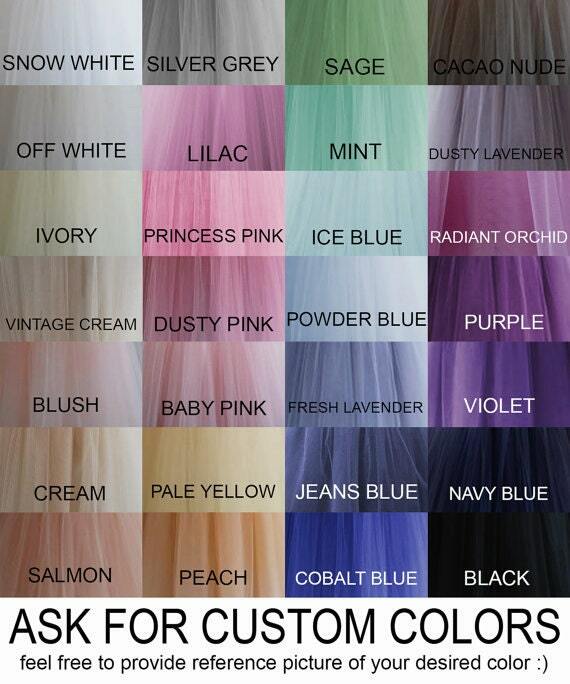 This is a bulk order listing to help you save money when purchasing a larger quantity of tulle skirts! Shipping is not included in this listing, because it is to be determined by your location and the amount of the skirts. Please inquire about the shipping prices, they range from 25 USD (two skirts to Europe) to 100 USD (8 skirts Australia) to get the exact quote for your order. An invoice would be sent for the shipping when the skirts are complete, photographed and approved of. The listing is for custom bridesmaids skirt for up to 25" in length, and the more you buy, the larger the discount you get! One skirt costs 159.00 USD. These tulle skirts are made out of 9 layers of tulle, fully lined, non transparent, with sewn satin waistbands (matte or shiny finish are both an option), with either beautiful pearly buttons or hidden buttons. A lot of details can be customized, and custom color requests (even ombre) are more than welcome. We will need each bridesmaids name, their waist measurement and the exact skirts length (up to 25 inches, but they can be made shorter). If you require longer skirts, we would be happy to create you another, custom discounted listing for longer skirts. Measurements can be provided anytime after the order, leaving us reasonable amount of time for production. Please ask us anything, we are happy to help and provide any needed information. The shipping we use is DHL Express Worldwide. 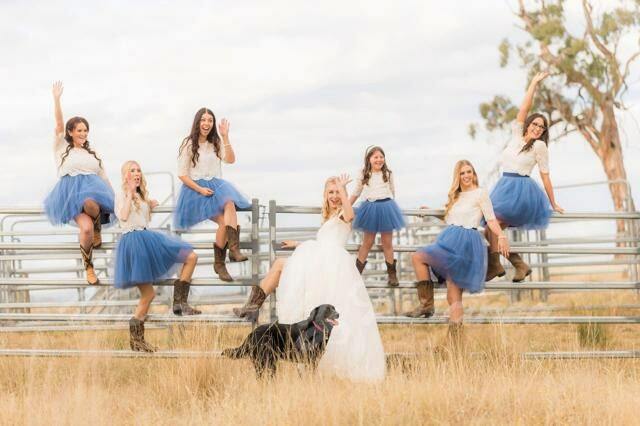 Tulle skirts are a wonderful option for a bridal party, they are easy to pair with any kind of top and your bridesmaids will be very happy they can reuse both of their outfit pieces afterwards! Each skirt will also come individualy wrapped, with a tag with your bridesmaids name on it and with a label that says "Size: Yours". Oh, and have we mentioned that we are able to create a color of these skirts just for your wedding theme? 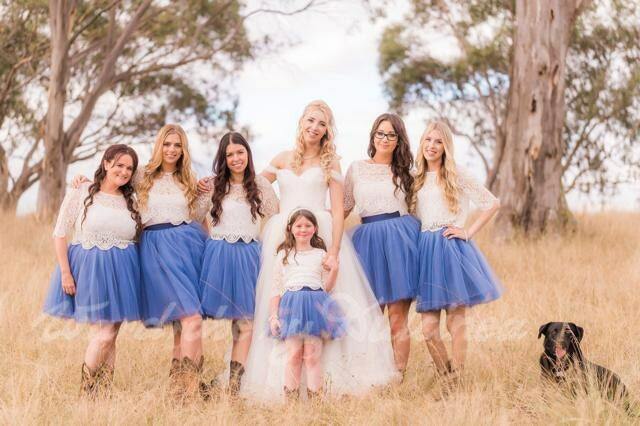 All of the pictures feature actual skirts we have made for our bridesmaids, and we have more examples to show if asked. Not did they arrive beautifully packaged, they came with a little name tag so I knew which skirt belonged to what bridesmaid. Inge was soooo helpful, and very patient. I had trouble picking a colour to match my wedding and she was great with sending me samples. Both bridesmaids loves there skirts and can't wait to wear them. 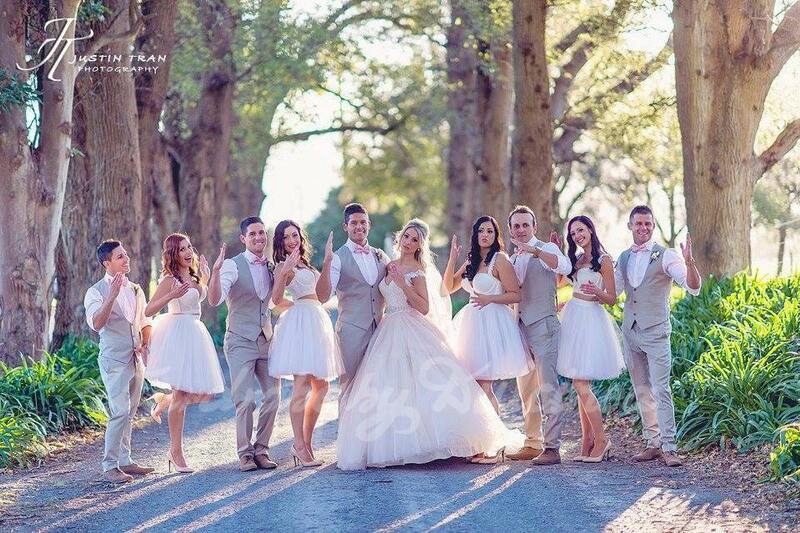 I also can't wait to see them on my wedding day. I cannot thank Inge and her team enough!